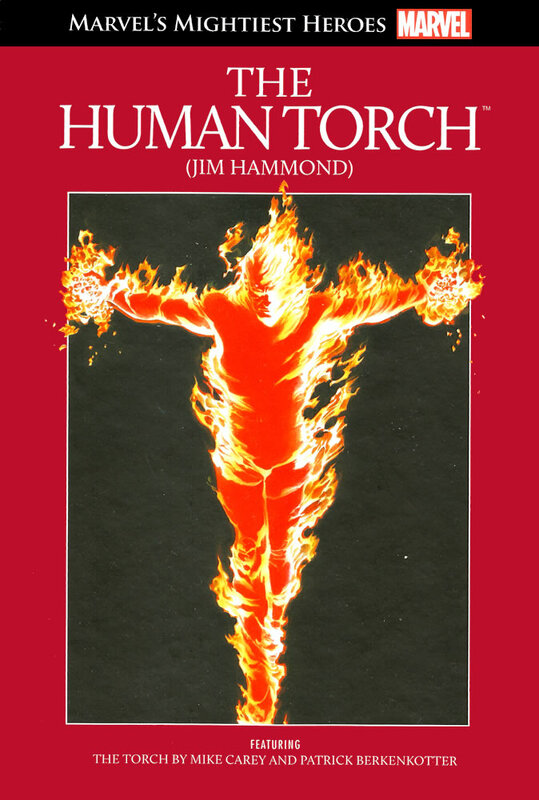 Up until being subscribed to this graphic novel collection, I’d actually had no idea there was an original Human Torch. But after meeting the Vision and becoming aware he was created from the original Human Torch, I was eager to have the opportunity to meet him. Although it would have been good to see the Human Torch’s origins, I did think that the comics chosen for this book were a good set. I liked being able to meet Toro and seeing how badly affected he was by the fact that he’d been brought back to life and was having to deal with the loss of his fire abilities. I couldn’t help feeling some sympathy for Jim as I was reading this comic. Even though he was able to shake off the brainwashing, he seemed to come across as a lot more robotic. It was cool to see Vision there and giving both of them advice… though I would have liked to see a bit more of him, considering his connections to the Human Torch. It was nice to see a bit more of the Marvel characters and I especially liked seeing the three ‘Torches’ working together. The people with the glowing red eyes was a really creepy aspect of the comics. I did like seeing a bit of Namor, but I wasn’t sure exactly what he was doing there at that point. The artwork in the comics was really good and I enjoyed seeing the characters in the different settings. The last couple of comics did confuse me a little, though. I wasn’t sure what was going on with the New Berlin… or if all of the characters there were androids. There was a really good flashback scene where Jim faces off against Hitler, though. I would have liked the opportunity to see more of Jim and Toro interacting with each other, at least. I was a bit sad by Jim’s apparent inability to feel emotions… and I could understand Toro questioning him about why he was going to help. I would have liked to get some answers along with Toro. There were a few emotional elements in this set, but on the whole, I was satisfied with the ending. And I’d be interested in seeing Jim in one of his original incarnations.